Lt. Ambrose Gwinnett Bierce, After the war he was brevetted to Major in honor of his service. Almighty God Bierce served, first as a lowly private, then as a non-com, and finally as an officer & a gentleman (or at least as an officer), his promotions being the result of his valor on the field of battle. Whether he ever attained the gentleman part of the epithet “an officer and a gentleman” is a dubious proposition, but it is known that Bierce did spend a year in military school at his Uncle Lucius Bierce‘s expense. 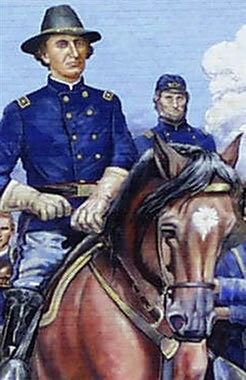 Bierce attended Kentucky Military Institute shortly before the Election of 1860, when sectional passions were running high in the border states. It is not known for certain why he left, but presumably his family’s outspoken Abolitionism may have come into conflict with one or another Southern gentleman attending the school, who held the opposite viewpoint regarding Secession and slavery. In any case, Bierce left voluntarily. So it was that, when war came, Bierce had a good bit more military training than of the other volunteers of his Hoosier regiment, the Ninth Indiana Volunteer Infantry. When Bierce went “To See the Elephant” as the expression of the day put it, Bierce did a lot of running, but never away from the sound of the guns, but almost always directly towards them. 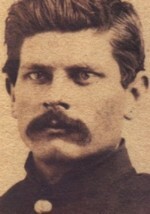 One time in western Virginia (soon to become West Virginia) he and his fellow “Swamp Angels” (their early nickname) Bierce and his comrades conducted a self-led charge up a hill at some Georgia boys who were contesting the summit. 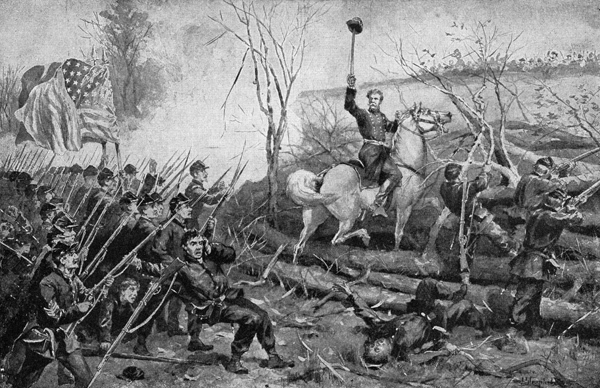 The charge through the trees went along alright, until Bierce suddenly realized he had become an army of one, his comrades having chose the better part of valor and ducked down behind the nearest stumps and rocks. A nearby comrade having been hit, Bierce picked up the wounded soldier, grabbed both their rifles and made a hasty retreat back down to where the rest of the ninety-day warriors safely lay at the bottom of the hill. The Rebels won the laurels on Laurel Hill that day. Grant’s men deserted en masse on the first day of Shiloh, many fleeing to the Landing desperate to escape. With that sardonic wit typical of him in the postwar years, Bierce observed that, “an army’s bravest men are its cowards. The death which they would not meet at the hands of the enemy they will meet at the hands of their officers, with never a flinching.” There were, of course, far too many deserters to shoot at Pittsburg Landing, but that may not have kept the Bloody Ninth’s divisional commander, General “Bull” Nelson, from plugging a few anyway. 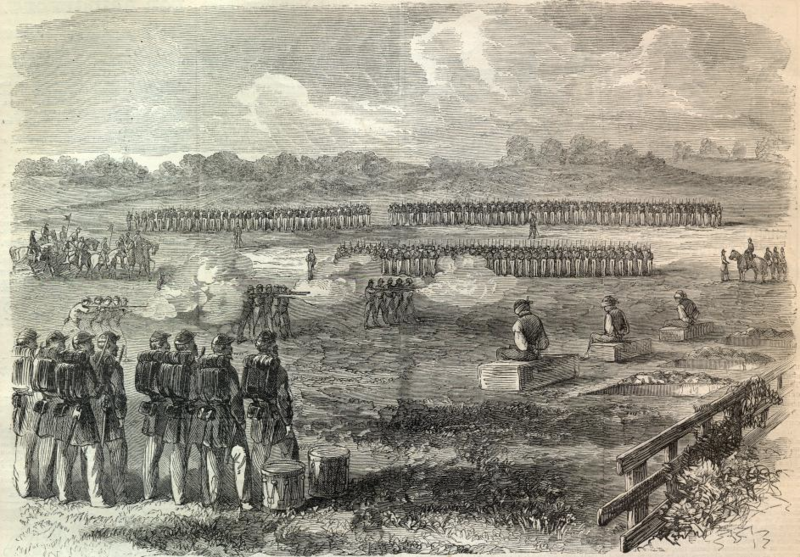 A Union firing squad executes deserters, who are forced to sit on their own coffins. We do know that Bierce and his comrades witnessed at least one execution of a deserter while stationed in Nashville in the early part of 1862 and was he present at other military execution. As Provost Marshall, he may even have presided over one or two himself. He would later write an essay on the subject as well as cataloging some of the more barbaric punishments the US Army meted out for lesser crimes. In the postwar era, after spending a short stint as a Treasury Agent in the deep South, trying to track down contraband cotton being hidden by unreconstructed Rebels, like many veterans who were bored and restless, Bierce headed west. His old commander, General William Hazen, was conducting a survey of the western territories and recruited Bierce to come along to put his talents as surveyor and map maker to use. At one point, Bierce even toyed with rejoining the army and aspired for a captain’s commission. When that was not forthcoming, he headed out to California. Bierce would also spend an interlude in the Black Hills helping an old army buddy with a mining venture. Bierce did not discuss his personal adventures in the west at any length—although they inspired a number of his short stories—save to intimate that the threat from the native tribes was greatly exaggerated and the postwar army not up to the quality of the Civil War army he had served in. Bierce may have had in mind the fact that when Custer’s command was massacred in the Black Hills, besides being bad marksmen, they had obsolete single-shot carbines, versus the Sioux’s deadly accurate repeating rifles. Regardless, what little we know of his frontier experience indicates he was frequently exposed to danger of one sort or another. It is not certain what set off his later ruminations about desertion, but in the following essay, he had some choice things to say about the frontier army of his day and its lack of readiness. In attempting to account for the wide and lasting popularity of desertion among our country’s gallant but uncommissioned defenders, everybody seems to have overlooked one reason which can hardly fail to influence many of our hardy warriors to “take their hook.” While all the other civilized nations are arming their soldiery with the most afflicting modern weapons—cannon of desolating power and repeating rifles exceedingly disagreeable to confront—we retain the ancient arms of the Rebellion period, whose fire it is more blessed to receive than give. Now, the American private soldier, born abroad in most cases and having the advantage of personal acquaintance with the superior European weapons, may be supposed to know that in combat with those who wield them he would not have the ghost of a chance for his life. The gratification of dying for his adoptive country is all that we can promise him. In the pomp and circumstances of parade that may be sufficient to sustain his courage and urge him to spectacular deeds; but in the silent watches of the night, when the monotony of his toil is unbroken save by the sound of his brush as he polishes the boots of his officer, he needs a spiritual stimulant of robuster strength. If the pattern of his weapon would assist his fancy to picture himself in triumphant contemplation of a fallen foe it would wonderfully lighten his task of tidying up the rooms of his officer’s wife and pushing the perambulator of his officer’s wife’s baby. The American private soldier is not insensible to perils of war that lurk in Bismarck’s hostility to the American hog. He is alive to the significant affirmation of his country’s unworthy by the Canadian press, and to all the possibilities involved in our determination to maintain our fences around the Bering Sea. That these “questions” are full of thunder he knows as well as the Secretary of State does; and the consciousness that he may be pitted against a British or German veteran gifted with a gun that will kill is naturally disquieting. We are far from implying that our private soldiers are lacking in the military virtue of courage; they are willing to fight, but do not wish to be made ridiculous. Some of them have already felt the sting of an enemy’s derision while endeavoring to conquer the Red Man intelligently armed by the War Department of his tribe. 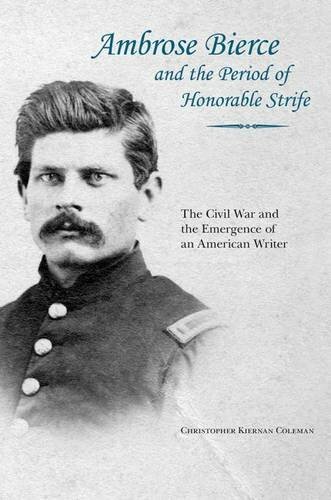 For more about Ambrose Bierce’s war service, see Ambrose Bierce and the Period of Honorable Strife, published by University of Tennessee Press. Ambrose Bierce and the Period of Honorable Strife for the first time chronicles this pivotal period of Bierce’s life. 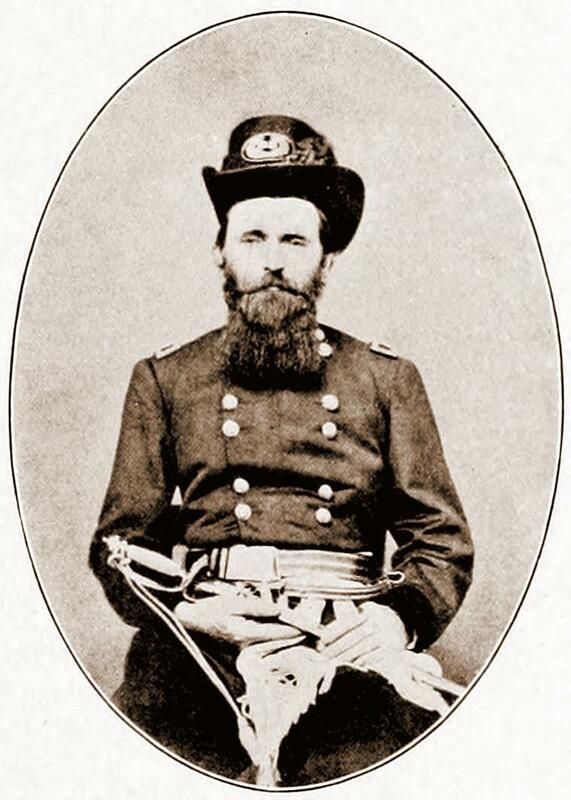 Grant early in the War. February 16, 1862 was perhaps the most important date in the Civil War, the day the Confederate Army besieged at Fort Donelson fell to the Union forces led by General Ulysses S. Grant. Why was it the most important date, you may ask? Because, although both sides did not realize it, that was the day that the Union began to win the war. In one blow, the Ohio River Valley was secured for the North and the system of forts guarding the Tennessee and Cumberland Rivers fell irrevocably into Federal hands, opening the way into the Confederate Heartland. Within weeks, the Rebel state capital of Nashville had fallen and with it all internal lines of communication west of the Appalachians, as well as substantial industrial resources. Looking for Union wounded by torchlight in Winter weather. 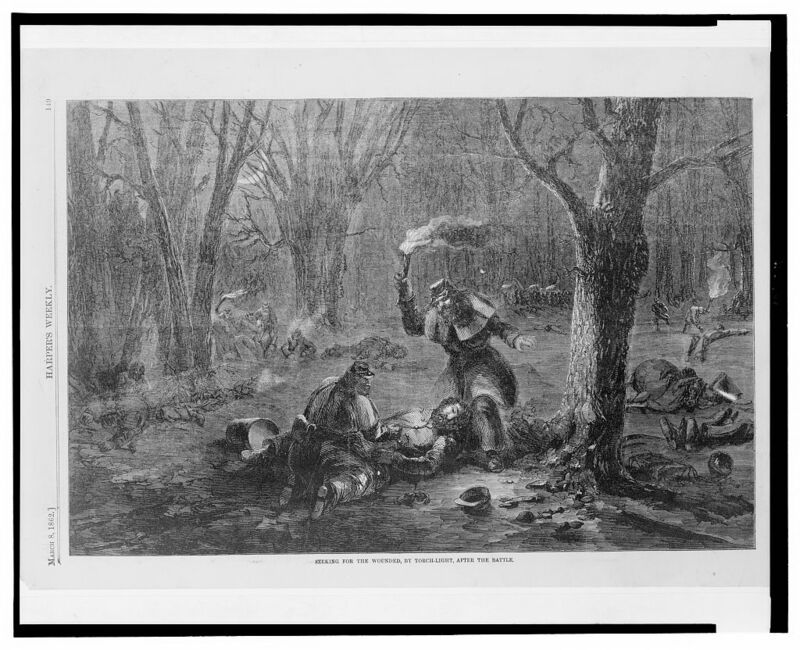 The bitter cold at Fort Donelson killed many battlefield casualties. Had Generals Grant and Halleck not bungled the advance on Corinth, Mississippi at Shiloh on April 6, by the end of the Spring, Mississippi and much of the deep South would also have fallen to the Federals. The Confederate government would have been in the position it found itself in the spring of 1865: confined to a three state rump on the east coast, blockaded by sea and with no escape. The intervening period between the fall of Donelson and the capture of Savannah was really just one of redeeming the mistakes made at Shiloh and Corinth. In a sense, the spectacular success of Grant’s forces in February of 1862 were to blame for not finishing the job; Grant, thinking the Confederates had no fight left in them, grew careless at Pittsburg Landing while awaiting Buell’s reinforcements and was grossly negligent by not constructing defenses around his bivouacs, as well as not being vigilant in patrolling his positions to warn of enemy advances. His boss, General Halleck deserves some blame as well, sending raw recruits to Grant who had not even undergone basic training. 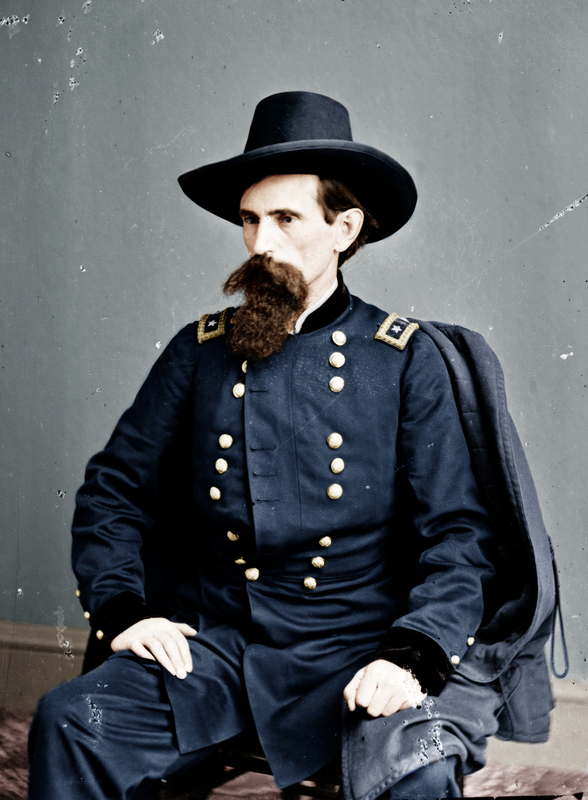 In truth, had Grant not been so careless, he would have had ample warning of the enemy’s moves and could easily have caught them in line of march as they advanced towards Shiloh and decimated the last organized Rebel forces between the mountains and the Mississippi. 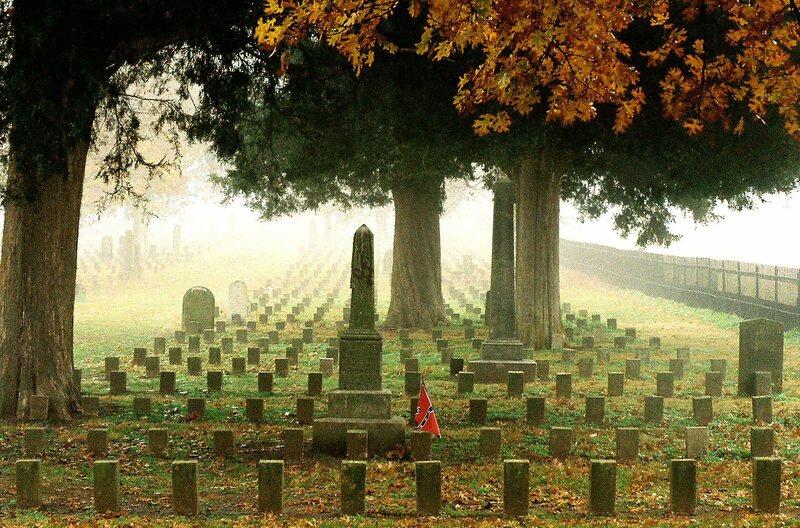 But the blunders by both sides at Shiloh are best left for another time. Let us focus on the victory at Donelson. Originally, General Don Carlos Buell had urged his fellow department commander, General Halleck, to mount a joint operation against the Rebel forts holding the strategic junction called “The Land Between the Rivers”—that area where the Tennessee and Cumberland Rivers are only a few miles apart and where both empty into the Ohio. Here the Rebels concentrated most of the western forces to bar Union troops from invading the Confederate heartland. 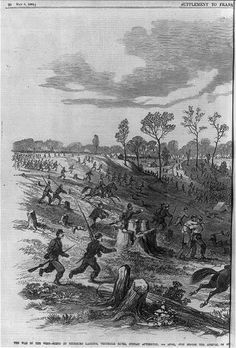 Storming Fort Donelson by Union troops. In truth, Grant began the siege without enough troops to take the fort by storm. Halleck, however, spurned Buell’s plan of action, but no sooner had he done so than he authorized his subordinate, Brigadier General Grant, to lead of expedition to undertake the very same operation that he had rejected. Grant to that date had not achieved any notable success as a field commander and “Old Brains” Halleck thought Grant too reckless. But with a powerful flotilla to blast the river forts, Halleck thought Grant up to the task of at least establishing a foothold—after which Halleck himself would come up with more troops and finish the task. As it turned out, Fort Henry easily fell to the Union fleet’s bombardment—largely due to its riverside “water battery” being nearly submerged by winter rains. Another Rebel fort on the Ohio also fell with little fanfare. Grant landed his troops at Fort Henry and then, instead of waiting on the methodical but slow Halleck, marched his small force overland to Fort Donelson, which protected the Cumberland River. It was a risky move, since Grant had fewer troops than the force holed up at Donelson. Fortunately, the Rebels had put all their heavy guns facing riverward, thinking the Yankees would only attack from than quarter. Even so, it was a very near thing for Grant as both Halleck and Buell scrambled to send him reinforcements and the Confederates made attempts to break the siege. 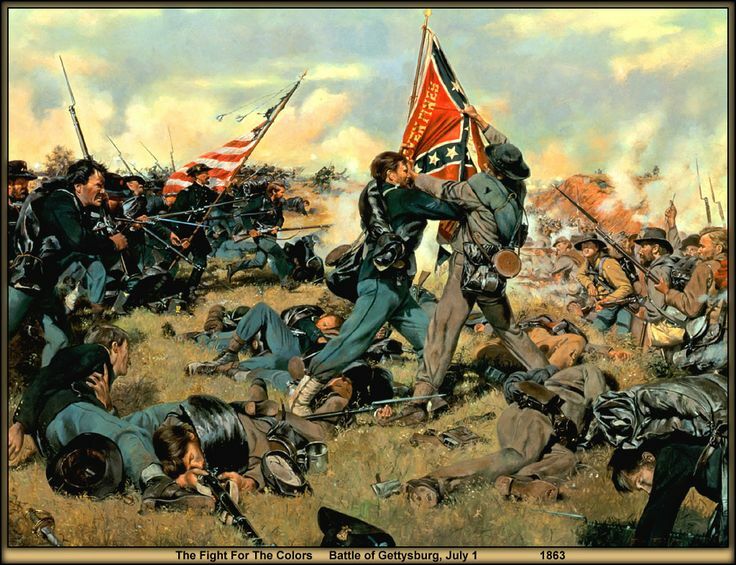 At one point, the Confederate counterattack was on the verge of succeeding; but due to the courage and leadership of the two Generals Wallace: William L. Wallace and Lew Wallace, the Rebel assault faltered and was driven back. Inside Fort Donelson, despite their strength in numbers, the Confederates were in dire straits. The Rebel troops had not been properly equipped, nor were their clothes suited for the bitter winter weather they endured. Worse still, the Rebel force was led by officers who were better politicians than soldiers and when Grant proved too tenacious for them, asked for terms of surrender. The Confederate surrender of Fort Donelson was due to a bluff on U. S. Grant’s part. Grant, who was not only fond of hard drink, but also something of a poker player, responded to the overtures of surrender with the reply that made him famous: “no terms except an unconditional and immediate surrender can be accepted.” Grant then drove home his demand by adding: “I propose to move immediately upon your works.” Ulysses Grant may never have made much money playing poker with his cronies before the war, but his great bluff worked on this occasion. General Nathan Bedford Forrest refused to surrender at Fort Donelson and broke through the Union siege lines. 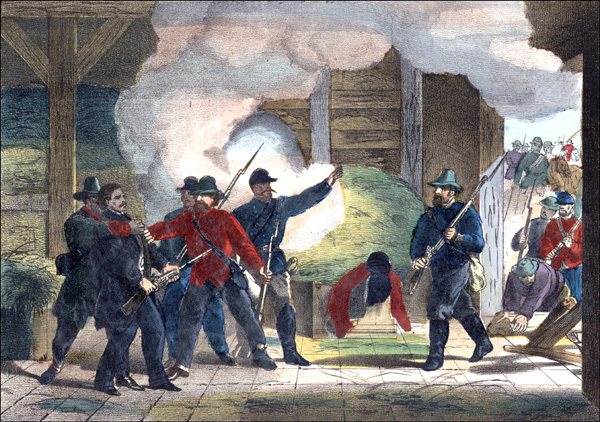 The Rebel commanders at Donelson succeeded one another trying avoiding responsibility for the surrender but in short order capitulated to the Yankees. That Confederate commanders may have just as easily broken out of Grant’s weak siege is demonstrated by the fact the Nathan Bedford Forrest, who refused surrender without a fight, broke out along with some 1500 men. 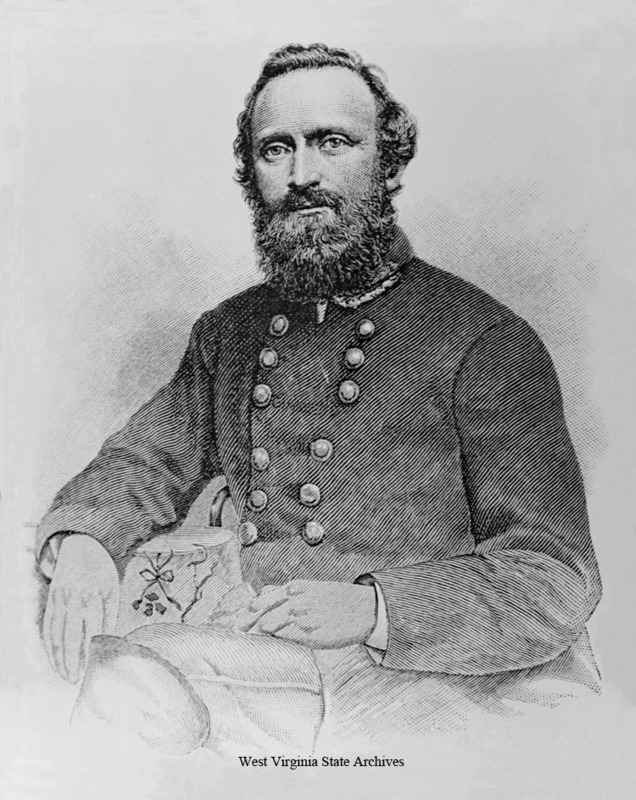 Grant was most successful as a field commander when conducting sieges: Vicksburg and Petersburg come to mind and perhaps are more famous than this siege; but the investment of Fort Donelson, begun on an impulse, was far and away his most spectacular victory and cost the least in blood. Even more importantly, this was the event that set in motion the inexorable road to Union victory. Ambrose Bierce, famed American author, best known for his macabre fiction and cynical humor, served as a soldier in the front lines throughout the Civil War. Bierce’s wartime experiences were the transformative events of the young author’s life. Ambrose Bierce and the Period of Honorable Strife for the first time chronicles this pivotal period of Bierce’s life. 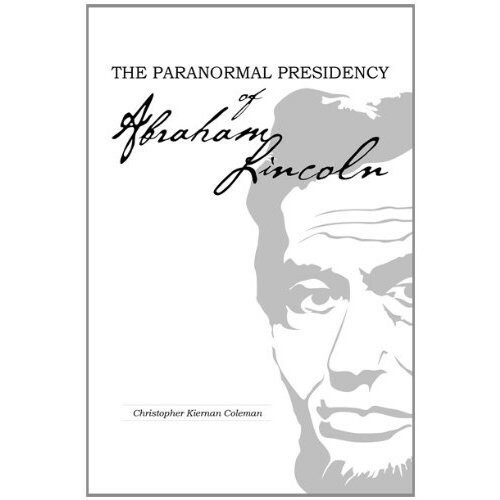 For more on the Civil War, read The Paranormal Presidency of Abraham Lincoln and The Ghosts and Haunts of the Civil War. For anyone who followed the recent debates over the display of Confederate flags, they may find it of interest that the Confederate Battle Flag has been a bone of contention before, albeit under different circumstances. Ambrose Bierce, whom I have spent several years researching and writing about, once weighed in on that previous flag dispute. At that time, it had little to do with the issue of racism–since whites north and south were all on the same page–racist–but rather with the return of the actual battle flags to the South. 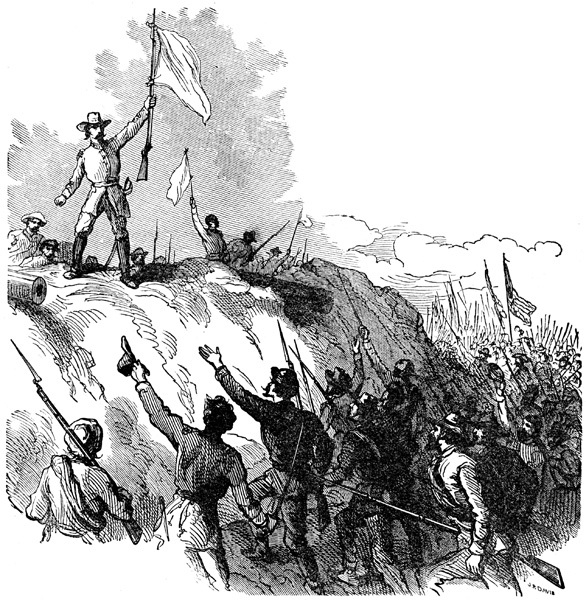 After the war, northern politicians could be assured of getting votes if they “waved the bloody shirt”–reminded voters of the loss of northern lives in the Civil War. That this was as self-serving political bloviating perhaps goes without saying. Then, as now, there were any number of “chicken-hawks”–politicians who had not fought in the war but acted as though they had–who raged against returning the battle standards to the Southern states. Was it to get the banners? And make them love us. Too valiant to forsake them. I helped to take them. Ambrose Bierce, famous author, noted cynic and war hero. His portrayal of war was based on personal experience and his realistic style of writing heavily influenced twentieth century writers. Friends, Politically Correct Partisans, Lend Me your Ears! I come to bury Nathan Bedford Forrest, not to praise him (sort of). Enough of the bad Shakespeare imitation. I normally do not mix current political discussions with history, but it seems we cannot talk about the events of over 150 years ago without inevitably being dragged into debates about the present. The current mess began with the brutal and senseless murder of nine black church members in Charleston, South Carolina and ensuing controversy regarding the Confederate flag—or more properly, the Confederate battle standard. While I personally feel that it is improper to wave that symbol of rebellion over any state building or government grounds other than historic sites, and that its removal from the South Carolina state capitol was long overdue, the subsequent politically correct jihad against the Rebel flag and banning it from all public venues—including the Dukes of Hazard car and Walmart—not only borders on the hysterical, but entirely misses the point. And since then, the PC frenzy has morphed into vigilantism and vandalism, not only towards historic statues of Confederate leaders, but has expanded to war memorials to American dead and the vandalizing of graves on private property. Racism and rampant gun violence are the real problems, not the Confederate battle standard, which was not even the national flag of the Confederacy. Banning the Rebel flag does nothing to fight racism, still less to control the ability of mentally unstable persons and criminals to have unfettered access to high-powered automatic and semi-automatic weapons. The American public has, in my view, been hoodwinked by a neat little bait and switch ploy on the part of politicians unwilling to deal with the real issues. To be sure, the Rebel battle standard has been used by hate groups as a symbol in the past and still is, but then so too has the Christian cross; so are we also going to ban the use of the cross in any public display? Some Jews may regard the Crescent and Star as a hate symbol; some Arabs may likewise view the Star of David in a similar vein; but neither is inherently a symbol of hatred or bigotry. While I wouldn’t feel comfortable displaying the Confederate battle flag on my person or property, I recognize that there are many folks who may display it as a symbol of either regional pride, Southern heritage or just plain as a symbol that they’re a redneck good ol’ boy who likes to drink Jack Daniels and go yee-haw! at music concerts. The same symbol can mean different things to different people, especially so the Rebel flag. By all means let us deal with racism; and there are many, many things that can be done to regulate and control guns while still respecting the letter and spirit of the Second Amendment that would save many lives, all without adversely affecting responsible hunters, sportsmen and collectors. Also caught up in this growing tidal wave of political correctness (really the shuck and jive avoidance of dealing with the real issues) is the issue of Nathan Bedford Forrest, or more precisely, his likeness in the Tennessee State Capital and in Memphis. Swept up in their fervor for erasing history, local Democrat and Republican politicians and various pundits among the general public have called for its removal from the august halls of the state capitol. In Memphis, arguably the poorest city IN THE COUNTRY, demagogues have inflamed public opinion with misinformation and half-truths and are diverting hundreds of thousands of taxpayer money to pursue illegal actions–money sorely needed for education and fighting poverty and drug use. Please note: no one is calling for the repeal of the drunks-with-guns-in-bars law the state legislators passed, or the guns in playgrounds law, or the take your gun to work law, much less rolling back the patently discriminatory voter ID laws Tennessee and other states have passed to make it as difficult as possible to vote. Nope: just remove the Nathan Bedford Forrest bust from Capitol Hill and illegally remove a historic monument in a public park and vandalize Forrest’s grave. In truth, General Forrest has always been something of a controversial figure, even during his lifetime. He never quite made it into the pantheon of the Lost Cause; he was not a Virginia Swan, he did not graduate from West Point and, while Forrest was an officer, he was sometimes less than a gentleman. It is true that before the Civil War he had been a slave trader, an odious occupation even in the South–and one which his wife had strong objections to. Starting as a common soldier, his native genius for war led to his rapid promotion; in battle after battle, he was “fustest with the mostest” (as he is often misquoted as saying) defeating the Yankees on numerous occasions. His record of success in battle speaks for itself; as a great captain of war, he is due recognition on that count alone. His war career did have one black mark, however; at Fort Pillow he was accused of conducting a massacre of Black Union soldiers. That a massacre of surrendering soldiers did occur there is generally accepted by historians; how many were shot after surrendering versus armed soldiers fleeing to the river and the safety of Union gunboats, however, remains hotly disputed. Forrest always denied giving any explicit orders in regard shooting unarmed prisoners and maintained that the Union prisoners, black and white, were treated humanely. After the war he testified before Congress on that score and pointed out that the terms of surrender he offered the Union garrison at Fort Pillow was more generous than Grant’s terms to Lee at Appomattox. In the chaos of the postwar era, the Ku Klux Klan came into being. 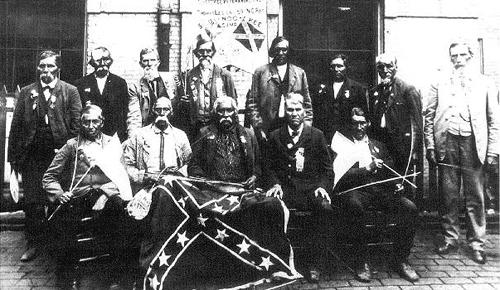 Begun in Pulaski, Tennessee, initially as a fraternal group by half a dozen bored Confederate veterans, it soon morphed into a vigilante organization and, after a time, General Forrest was asked to head the “secret empire.” Before Congress Forrest denied membership, however he was being disengenous in that regard. Nonetheless, as acts of violence and vigilantism attributed to Klan members grew, Forrest became disturbed at the way the organization was developing. In 1869, he publicly called for the Klan’s disbandment because of its use of violence. This doesn’t much sound like the rantings of a rabid racist, does it? There is another bust of another former Confederate soldier in the state legislature as well, maybe they should remove his statue as well: Sampson Keeble, placed there in 2010. By the way, Keeble was born a slave and in 1873 became the first Black elected to the Tennessee state legislature. Oh, yes, and then there is the little matter of Andrew Jackson and the Cherokee Indians’ Trail of Tears. His equestrian statue is very prominent on Capitol Hill in downtown Nashville; how about removing him too while we’re at it? 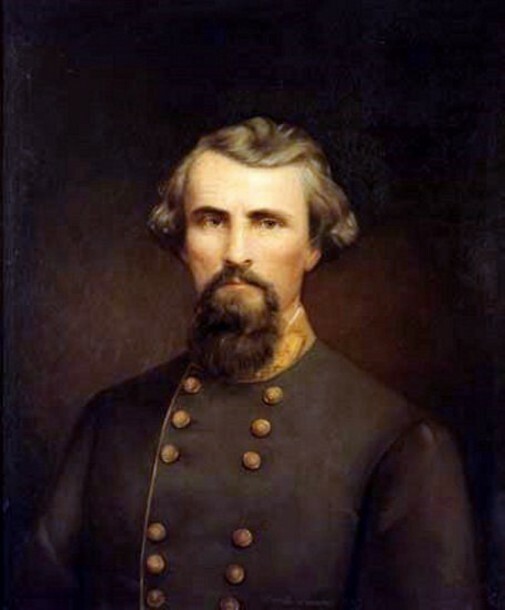 Nathan Bedford Forrest was certainly no saint: he was quick to anger and ferocious in the heat of battle; he may have been guilty of committing wrongs during the war. But Forrest was also a man capable of growth and change and, all in all, a better man than those who would turn him into an icon of hate and bigotry give him credit. For more about the war in the Western Theater, see Ambrose Bierce and the Period of Honorable Strife, University of Tennessee Press. Ambrose Bierce and the Period of Honorable Strife, chronicles the wartime career of one of America’s most famous authors. The Booth Conspiracy: How Wide Was It? Booth the great Thespian and chief Conspirator; how high up in the Lincoln Administration did his connections go? 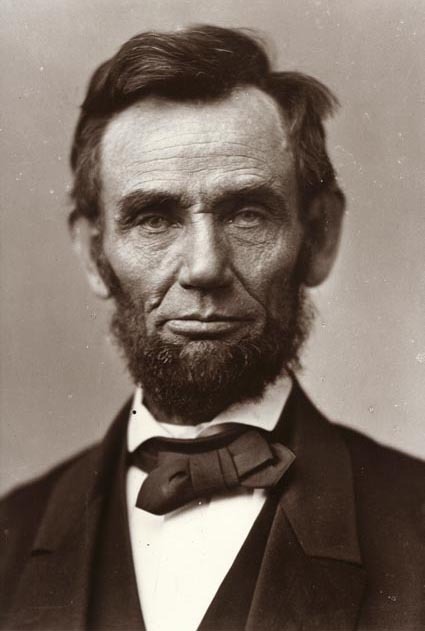 On Good Friday, April 14, 1865, Abraham Lincoln was assassinated by John Wilkes Booth; that much is not in dispute. 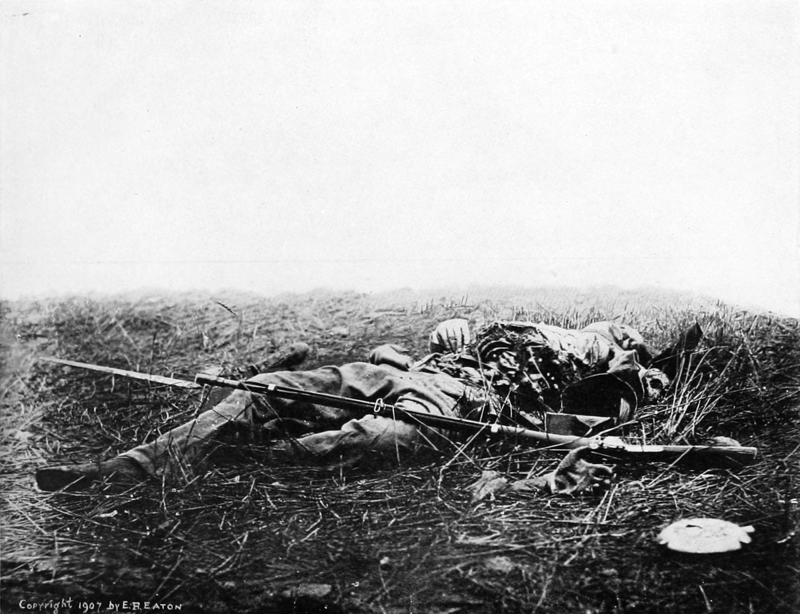 Twelve days later, Booth was tracked down and fatally wounded in a burning barn on the Garrett farm in northern Virginia; that, at least, is the official version of this tragic finale to the Civil War. Lincoln’s Assassination on Good Friday of 1865. Where was his bodyguard when Booth entered the box? Of all the conspiracy theories that continue to circulate, none is more fascinating—or more debated—than John Wilkes Booth’s successful plot to assassinate the President. Of course, the fact of the conspiracy itself has never been in debate: no one doubts that Booth conspired to murder Abraham Lincoln and some of his cabinet, and succeeded in that goal. Unlike presidential assassinations since, Booth has never been characterized as a “lone assassin.” We know he had a large group in on the plot. Where the various alternative theories conflict with the official version of the assassination is exactly how wide the Booth Conspiracy really was. In this regard, the debate about the Booth Conspiracy has raged long and hard and remains hotly debated to this day. 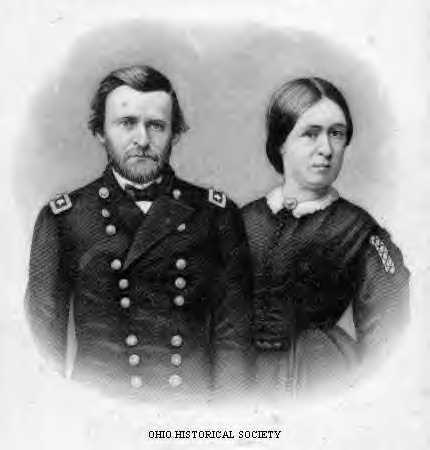 General and Mrs. Grant were also being stalked by assassins on April 14; yet those conspirators were never caught. What sparked this latest entry in the debate by yours truly is the publication of a recent book on the assassination and the mysteries which surround it: John Wilkes Booth: Beyond the Grave, by W. C. Jameson (Rowan & Littlefield, 2014). A recent book review in Civil War News, gives it generally positive reviews. However, the book lacks footnotes documenting its assertions (a big no-no among both scholars and Civil War enthusiasts) and given that the book’s assertions are fairly radical, that seems a curious omission. The book does apparently contain a substantial bibliography, though. Since I have delved deeply into several different aspects of the Lincoln assassination in both Ghosts and Haunts of the Civil War (not footnoted) and The Paranormal Presidency of Abraham Lincoln (extensively footnoted), needless to say, the topic interests me a greatly. Apparently Jameson—allegedly a Booth descendent—gives first the “official” version of the assassination, then dissects all the inconsistencies and contradictions inherent in government version. There is nothing new in that—researchers have long pointed out many holes in the accepted accounts of the assassination, Booth’s escape and his alleged death. Brad Meltzer produced an excellent television documentary delving into this issue on his History Channel’s History Decoded series and there are several other documentaries available which have also investigated this issue. But no matter how much the Federal government at the time, or modern historians today, assert the orthodox line about the limits of Booth’s conspiracy and of his death, there have always been dissenting voices that 1) the conspiracy was far wider and deeper than the succeeding administration was willing to concede, and 2) that, in fact, John Wilkes Booth did not die on the Garrett farm after being shot by Federal cavalry. I have gone into both these issues in previous articles on The Late Unpleasantness. How soon after the murder of Lincoln did these alternate scenarios of his assassination take shape? Would you believe within days of Lincoln’s death? In Ghosts and Haunts of The Civil War, for example, in chronicling Mrs. Grant’s own premonitions about going to the theater that Good Friday, I cite her own words to the effect that she and her husband were being stalked by suspicious characters that afternoon and that the general’s wife always believed that a team of assassinations had been detailed to murder her husband who were never apprehended. You may read that chapter in GHCW for more details about the Grant’s very real dangers and premonitions; suffice it to say that, while I did not footnote it in that book, the chapter is based on primary sources relating those events. Andrew Johnson succeeded Lincoln as President, yet knew Booth from his days as Military Governor of Tennessee. Was he involved in the plot? Even more telling than the facts surrounding the General and Mrs. Grant’s close brush with death on April 14, 1865, we have the testimony of the first person to make accusations of a wider conspiracy: Mrs. Lincoln herself. Bear in mind that the backstage personnel of Ford’s Theatre were all friends and close associates of John Wilkes Booth; while they all denied any complicity in the crime, it remains a moot point how involved they may have actually been in the plot, denials after the fact not withstanding. More importantly, the body guard that had been detailed to stand watch just outside the door to the box seats where the Lincolns were watching the play that night was conveniently missing at the very moment when Booth entered the balcony box to murder Lincoln. Mary Todd Lincoln did not mince words and she directly accused the body-guard of being in on the plot. Mary went on to accuse Andrew Johnson of complicity in the plot to murder her husband. Much of this is detailed in the sections on the assassination in Ghosts and Haunts of the Civil War and The Paranormal Presidency of Abraham Lincoln. Of course, Mary Todd Lincoln has always been given a bad rap by historians: “crazy Mary” has always been the refrain when it comes to her actions and words. Yet Mary Todd Lincoln was a highly educated, cultured lady—far more so than many of her male contemporaries in Washington—a fact which only increased their resentment for the Kentucky blue blood who had relatives in the Confederate army and she neither crazy nor stupid and, moreover, well aware of the danger her husband was in. Granted, that after watching her husband being murdered before her very eyes, she was a mite upset and lashed out at all those she thought responsible; yet there is a strong ring of truth in her accusations. 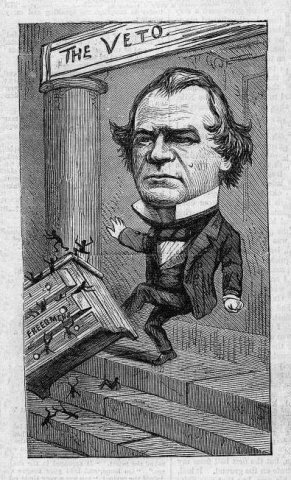 Andrew Johnson “kicking out” the Freedman’s Bureau. Although a Unionist Southerner during the war, as President he took land away from blacks and gave it back to the planters. Where was the body-guard that night and why was he not at his post? Certainly there were many others willing to die defending the President had they known he was not adequately protected. Mary Todd Lincoln’s accusations aimed at Vice-President—now President—Johnson have a ring of truth about them. “Don’t wish to disturb you. Are you at home? J. Wilkes Booth” read the note. What business did the leader of the plot have with the prospective new President? How deeply was Johnson involved in the plot? 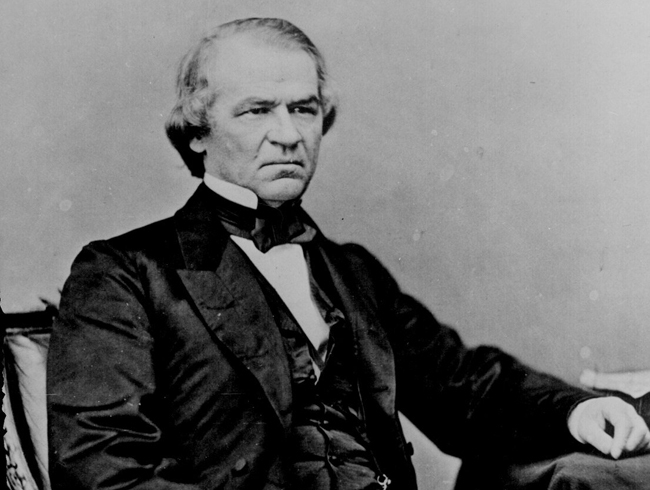 Although Andrew Johnson was considered a Loyalist Southerner, with political connections to Unionist East Tennessee, he was hardly a paragon of virtue and in fact had many suspicious connections. He was a man fond of strong drink and loose women—a fact not lost on the more straight-laced members of the Republican Party. When he was Military Governor of Tennessee, he was known to be a close associate of none other than John Wilkes Booth. In “Right or Wrong, God Judge Me” The Writings of John Wilkes Booth, edited by John Rhodehamel and Louise Taper (1997), evidence is presented that Booth knew Johnson dating back at least to February of 1864, when Booth performed at the newly opened Wood’s Theatre in Nashville. According to Hamilton Howard in Civil War Echoes (1907), whenever Booth visited Nashville in his guise as actor (although he probably was already in the employ of the Confederate Secret Service) he and Governor Johnson went boozing and wenching together, sharing the sexual favors of two sisters on more than one occasion. John Wilkes Booth’s death as presented to the American public. Does this version of Booth tell the truth? We come to the person of Booth himself: actor, lover, spy, assassin; as Shakespeare once observed, a man may play many roles in his life and we know that Booth played more than a few. It has never been proven, but many believe that Booth was not the mastermind behind the plot to kill Lincoln; certainly he had connections to the Confederate spy ring operating in Canada and residing in Washington, DC, just across the Potomac from Richmond, he could not help but have been in easy contact with the Rebel spy masters in that capital. Unfortunately, when Richmond fell to Union troops in April of 1865, most of the Confederate Secret Service’s records disappeared—whether by accident or to purpose remains a moot point. We shall never know exactly what secrets of the Booth Conspiracy disappeared with the loss of those files, but the suspicion remains that the loss was great. One thing we know for sure: John Wilkes Booth was not on a suicide mission. He had escape routes clearly planned out for himself and his co-conspirators. What remains under debate is how successful Booth really was in making good his escape. The accepted consensus is that he ultimately paid the price for his treachery and treason; but there are dissenters, his descendent Mr. Jameson among them. In the years following the war, various researchers have followed the convoluted trail of evidence indicating that booth did indeed live a long life after the assassination. Newspaper reports days after the assassination had Booth in various cities around the country—none of them seemingly true. In the years following however, there were various accounts of Booth sightings in foreign lands in newspapers, some of which may have had some credence. The reports placed Booth in India and Ceylon, in China, in Mexico, and even in the South Seas. Common to these all these accounts was the figure of Booth as an honorable gentleman with no remorse for his deed. Interestingly enough, most of the locations where he was sighted also coincide with locations where émigré Confederates actually did establish colonies during Reconstruction. 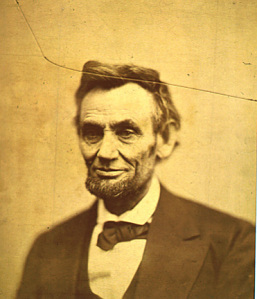 Abraham Lincoln guided the nation through four years of war only to die as it neared its end. We still don’t know the whole truth. Some serious researchers believe Booth did make good his escape and, like Jameson, have presented their evidence; but positive proof remains elusive 150 years later. For more on the Lincoln assassins and the mysterious life and death of Abraham Lincoln, see Ghosts and Haunts of the Civil War and The Paranormal Presidency of Abraham Lincoln. 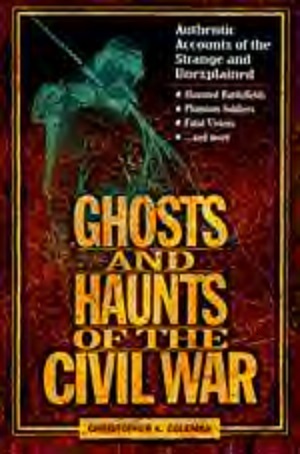 True of uncanny events and unexplained encounters relating to the Civil War, Ghosts and Haunts of the Civil War is the most comprehensive compilation of real paranormal experiences of the Late Unpleasantness.